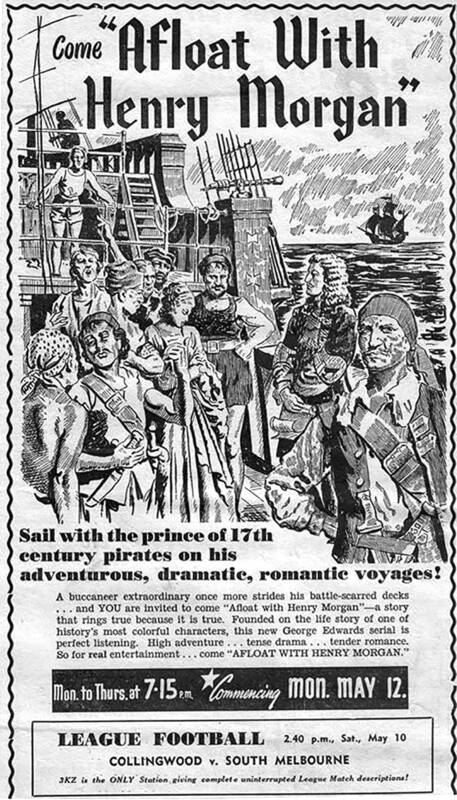 This serial was set in the Caribbean and included plots about petty pirates, stolen Aztec necklaces, storms and swamps. It was produced by and starred George Edwards, who also produced Dr Jekyll and Mr Hyde, Frankenstein, and Corsican Brothers. Be the first to comment on "Afloat with Henry Morgan"